*A one-time handling fee of £1.00 will be added to your shipping total at checkout. 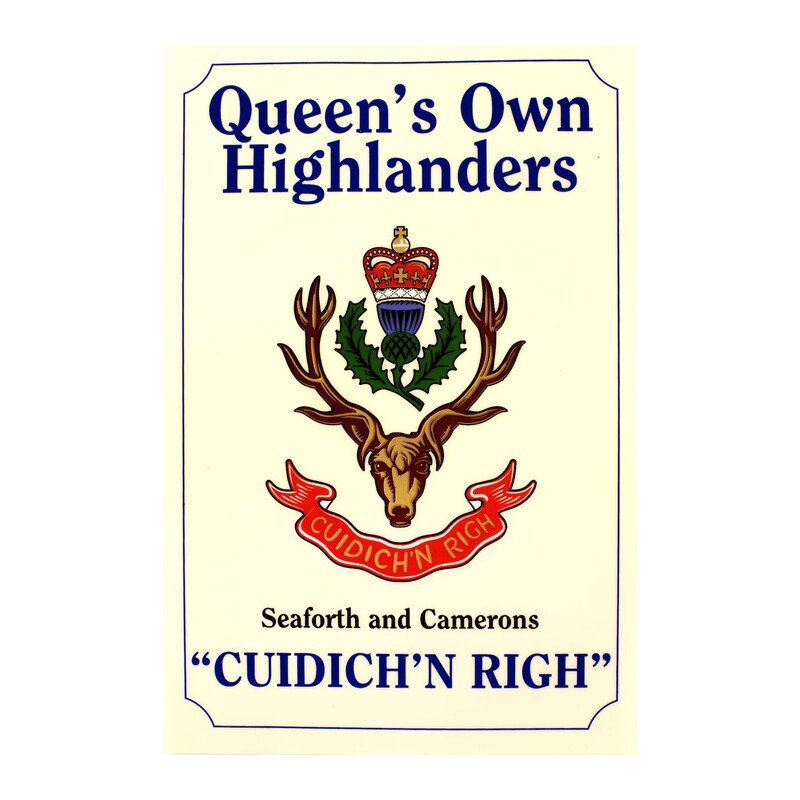 Full colour Queen’s Own Highlanders car sticker. Sticker measures 6″ x 4″.